'Spot', the Humpback whale, is an old friend in Auke Bay. It got the name from the single spot on the right side of its bottom fluke. Weather is definitely improving but the sightings are not. 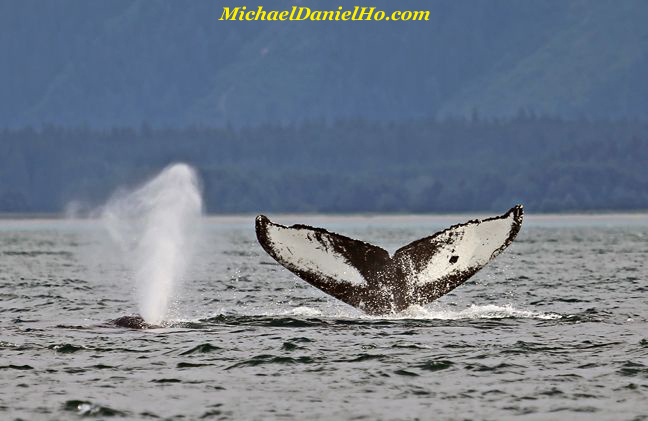 Most whales are too busy feeding and there is little action, mostly tail and back shots. See what I can find today.